Nasarawa State Tertiary Institutions Workers Ends Strike Actions, Nasarawa State Polytechnic [NASPOLY] Ends Strike Action, Academic Activities Resumes Immediately. According to the Information reaching us stated that the Striking workers in tertiary institutions in Nasarawa State have suspended their strike. Staff and students of Nasarawa State Polytechnic are to continue with their academic activities immediately. On the other hand all admission applicants of the polytechnic are hereby informed that the admission list has been released and has been pasted on the school notice boards. RECOMMENDED: Nasarawa State Poly Resumption Date for 2018/2019 Academic Session. 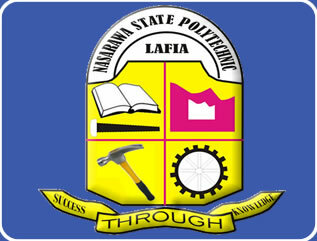 Happy Resumption to all Students of the Nasarawa State Polytechnic, Lafia.